The Oswego City School District Board of Education recently thanked and recognized retiring teachers and support staff members. 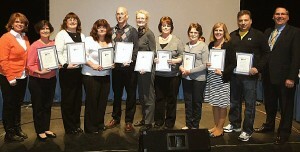 Nearly 300 years of experience will be leaving the district as a result of these retirements. The board and administration expressed grateful appreciation to all for their service. 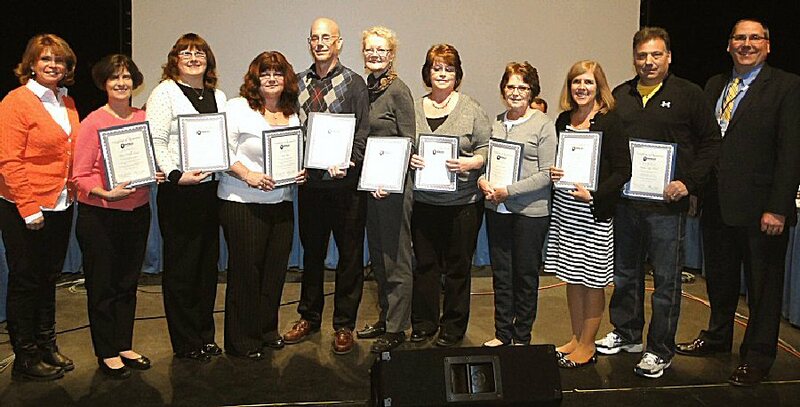 From left are Board of Education President Kathleen Allen, Mary Della Penna, Lois Burns Graber, Susan Ross, Michael Dunsmoor, Cindy Farnsworth, Kathleen Salazzo, Joyce Cooper, Luann Kehoe, Stephen Flack and Superintendent of Schools Benjamin Halsey.